Chester E. Finn Jr. has three very bright granddaughters. He thinks they "have considerable academic potential and are not always being challenged by their schools." Finn is not just a proud grandpa; he's a long-established expert on education policy with the Fordham Institute and Hoover Institution. So it's not surprising that his grandkids got him wondering about — and researching — a big question: How well is the U.S. educating its top performers? His answer: not very. "High achievers are being neglected in all sort of ways by schools that had no incentive to push them farther up." His research became a book, with co-author Brandon Wright, out next month from Harvard Education Press. 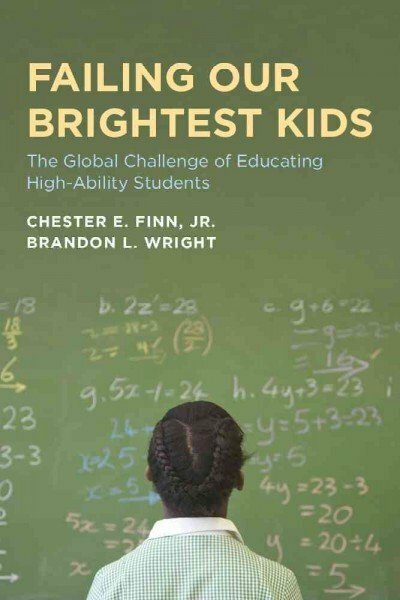 It's titled Failing Our Brightest Kids: The Global Challenge of Educating High-Ability Students. It contains an analysis of the U.S. issue, plus case studies on gifted education from a dozen countries around the world. I talked with Finn about the problems he sees in how high-ability students are taught in the U.S., Europe and Asia. Here are 10 eye-opening points drawn from our conversation. 1. Just 8.8 percent of U.S. students are classified as "high achievers" in mathematics, according to the most recent international assessments. That's well below the average of 12.6 percent for affluent nations. 3. It's not just the federal government. Finn says efforts to improve schools in the states, as well as most philanthropic efforts, "have concentrated almost exclusively on low achievers and bringing them up and closing gaps from the bottom up." 4. Finn and Wright analyzed results from the Programme for International Student Assessment, or PISA, to show that the United States is exceptionally bad at producing low-income high achievers. For example, only 2.45 percent of low-income students in the U.S. score top marks in mathematics. 5. This has nothing to do with innate ability, Finn and Wright argue, because other countries manage to do much better. Among the poorest students in Shanghai, for instance, 35 percent get top marks on the same math test. 6. High-ability poor kids are more likely to be attending schools with limited resources, where the teachers' attention is taken up with struggling students. That's important, Finn says, because "smart kids from families with poorly educated parents are really dependent on the school system to spot them and cultivate them and maximize their potential." When that doesn't happen, those students "fall off the wagon," losing interest in school at higher rates. Even when they graduate with top grades and test scores, as NPR has reported, they are much less likely to attend — or even apply to — elite colleges, a phenomenon known as "undermatching." 7. 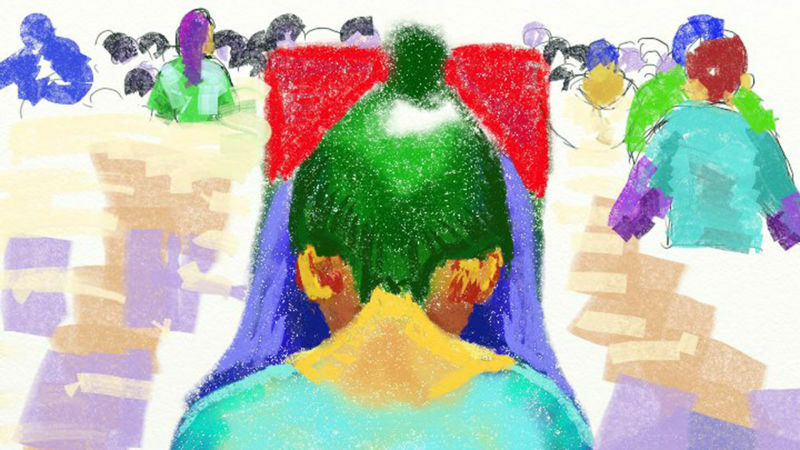 One promising practice from overseas is screening all kids at third or fourth grade — after they've had a few years of school — and directing special resources to the top scorers. Here in the U.S., all third-graders are tested, but the high scorers don't get anything. Meanwhile, screening for gifted programs usually happens in kindergarten, which creates a heavy bias toward those who come from more affluent homes. 8. Another policy change that could help: accountability targets that emphasize growth for all students. That's one of the ideas currently under debate as part of the reauthorization of the main federal education law. 9. In the background of this book, there's a bigger issue: There's not much research supporting exactly what works best for gifted students. Or different groups of those students, since they're a diverse group. Is it about acceleration? Extracurriculars? Smaller classes? Deeper learning? More personalization? 10. Finn is a fan of the Common Core State Standards, because they are rigorous, but he acknowledges that the standards are strictly sequenced, which makes it harder to skip ahead. For example, instead of having ninth, 10th, 11th and 12th grade math standards, it might be better to have 50 related units that each student could complete at her own pace. To have truly "individualized structuring," Finn admits, "would be a very big disruption, let me be clear."